DURBAN, South Africa, October 14, 2011 (ENS) – With just 44 days to the start of the UN’s annual climate change summit, the host city of Durban is going green with its conference preparations and the South African government is ready with its position paper. On Thursday, the Cabinet approved the National Climate Change Response Policy. The White Paper, which will be gazetted next week, gives South Africa some “moral high ground” said Department of Environment Affairs spokesperson Albi Modise at a post-Cabinet media briefing. Modise said the policy spells out priority areas for South Africa to look at in terms of cutting emissions. “I think it begins to give us some moral high ground but also begins to say this government is committed to ensuring we address the issue of climate change, also that we move or transition to a low carbon economy,” he said. South Africa’s International Relations Minister Maite Nkoana-Mashabane says South Africa is “on top” of conference aspects such as accommodation and venue preparation, security, protocol support and transport. Durban, where the conference will take place between November 28 and December 9, is expected to host about 20,000 delegates from 194 countries. They will attend the 17th Conference of the Parties to the UN Framework Convention on Climate Change, COP17, at the International Convention Centre Durban. There, the future of the Kyoto Protocol could be at last decided, funding will be arranged to help developing countries cope with climate change, and a system for compensating forested countries for leaving their trees standing is expected to be finalized. With all these environmentally-conscious travelers visiting Durban, the city has launched a Responsible Accommodation Campaign in an effort to create public awareness. The eThekwini Metropolitan Municipality was created in 2000. 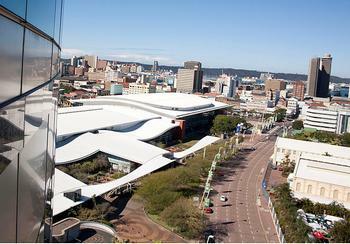 It includes the city of Durban and surrounding towns. Dr. Debra Roberts, deputy head of eThekwini’s Environmental Management Department, said the purpose of the campaign is to encourage Durban’s hospitality sector to adopt responsible tourism and green approaches in their businesses. In the first event of the local government program in the run-up to the climate conference, mayors and senior officials from municipalities across the country convened at the South African Mayors Conference on Climate Change from October 9-11, held at the Emperors Palace Hotel in Ekurhuleni municipality. Mayors discussed the science of climate change, outcomes from the past two UN climate summits in Cancun and Copenhagen, and used the meeting as a platform to share knowledge on climate change and build capacity to deal with the impacts of the warming planet. “Climate change has therefore become, without any doubt, the most pressing sustainable development issue of our times,” said Nkoana-Mashabane. Finding consensus among the diverse group of the 194 member states of the UNFCCC will be no simple task, the minister acknowledged. COP17 will be an ideal opportunity to shape the future global response to climate change, the minister added. “There is a resurging sense that agreement and progress in Durban are possible if Parties are willing to shoulder their responsibilities and properly fulfil their leadership roles,” she said. The minister said during a UN climate negotiating session earlier this month in Panama there was urgency among negotiators and groups to finalize the text that will serve as a basis for talks in Durban. 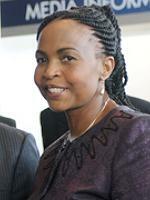 This gave her renewed hope that an acceptable and credible outcome can be reached in Durban, Nkoana-Mashabane said.